Bank accounts for bad credit will give you a fresh start. Bank accounts for bad credit can get you back to banking the traditional way. Bad credit can have far-reaching consequences, even on your ability to open a bank account. Conducting daily financial transactions without a bank account can be inconvenient, unsafe and costly. There’s no reason to pay checking cashing or prepaid debit card fees when bank accounts for bad credit are available throughout the U.S. Unpaid overdrafts are often the reason people end up with a ChexSystems or EWS record. But overdrafts can cause bad credit too. An outstanding checking account balance may be sent to a collection agency. Once that happens, the debt may get listed on your credit reports. Collection accounts generally remain on credit reports for 7 years (whether it’s paid or not). Additionally, a bank or credit union may also report you to ChexSystems which maintains information for 5 years. If you owe an outstanding banking debt, paying it typically doesn’t get it removed from your report early. That’s why people need bank accounts for bad credit – even a paid banking debt can continue to impact your ability to open a bank account. Mistakes happen. Many people don’t know how to manage a checking account until they make a mess of it. How to manage a checking account is typically not taught in school or by your parents. Bank accounts for bad credit offer you a second chance at checking when other banks often deny people with shaky credit. Thankfully, there are some banks that understand unforeseen circumstances, financial hardships or lack of understanding can lead to account mismanagement. 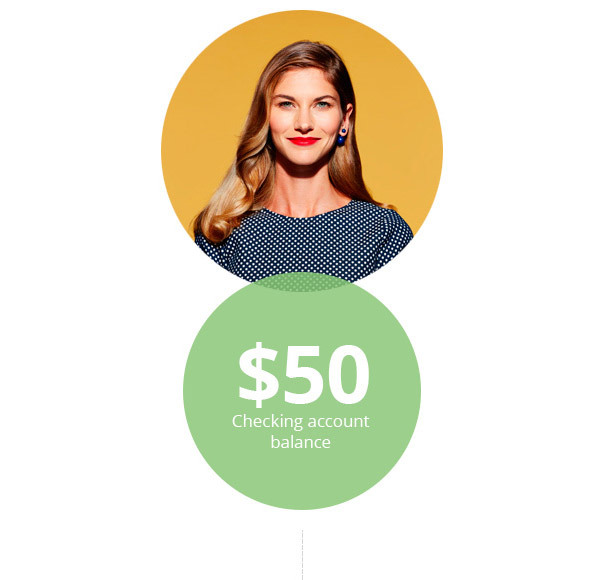 Re-establish a good banking record while getting all the benefits of a checking account. Most banks offer online checking account tools that keep you up-to-date with daily transactions, mobile deposits and bill payment. Get the tools to help you manage your finances more easily a bad credit bank account – dump your prepaid card. BBVA’s ClearConnect Checking account is available online in all states. Anyone 18 years or older can apply for this account. What’s attractive about BBVA is that they know sometimes people need a fresh start. Second chance banking gives you the opportunity to recover from past financial mistakes. BBVA Compass is one of the few major banks that offer Second Chance Banking with full checking features like: Visa debit card, unlimited check writing, online bill payment, mobile deposits, direct deposit and cash-back rewards. BBVA Compass won’t charge you for using its ATMs or those belonging to the AllPoint network, which currently covers around 55,000+ free ATM locations throughout the country. That means you can make cash and check deposits the same as you would at BBVA ATMs. During the application process you’ll need to choose the “U2 E-Checking (2nd Chance) Account” option plus choose an artful debit card design or just the plain debit card design. Fifth Third Express Banking® offers a simple way to manage your funds. The Visa® Debit Card gives you immediate access to your money along with the convenience and security of a banking relationship. But note this is a bare-bones account due to no credit score requirement. The Express Banking account does not offer check writing or check deposits at ATMs. But on the plus side, there’s no monthly service charge, balance requirement or overdraft fees. GoBank is a mobile checking account owned by Green Dot Bank. GoBank doesn’t use ChexSystems or bad credit to deny accounts. There are no branches, just self-service mobile and online options, and ATMs. $8.95 monthly fee unless you set-up direct deposits that total at least $500 each month. Axos Bank offers a second chance banking product for people who are in ChexSystems and unable to open an account at another financial institution. This is a real checking account, not a pre-paid card. Overdrafts can lead to being reported to ChexSystems or Early Warning Services. If you keep a low checking balance consider a bank that offers overdraft protection or an overdraft line of credit like BBVA Compass. Bank of America offers a basic checking account called the SafeBalance Banking® Account. It’s a no-frills account that does not charge overdraft fees by declining any transaction where you don’t have enough money in your account. You do not get check writing privileges with this account but it comes with convenient ways to pay individuals or businesses — use a debit card or Online Banking to make purchases, pay bills or pay individuals. $2.50/transaction at Non-Bank of America ATMs in the U.S.
Corporate America Family Credit Union offers a fresh start checking account that gives you the chance to rebuild a positive checking account history. You must become a member of Corporate America Family Credit Union to open a checking account. How to Join: Qualify through the Hope Group to become a member of the credit union. America’s Credit Union offers the Opportunity Checking Account designed for members who need to re-establish their financial health. The checking account allows customers to build a positive banking relationship. How to Join: Membership in ACU includes all members of the Armed Forces (active, retired, and reservists), civilian personnel, relatives of these members, as well as select employer groups. If you do not fall within these categories, you can join the PNCC in order to become a member of ACU. You can advance to another checking account type after you have 12 consecutive months with less than 12 Non-Sufficient Funds (NSFs) notices. Unify Financial Credit Union offers the “Right Start Checking for first-timers or account holders looking to rebuild a positive checking account history.” How to Join: Qualify through Western Federal Credit Union which allows potential members to join through a complimentary membership with a partnering nonprofit organization: Surfrider Foundation or Friends of Hobbs. 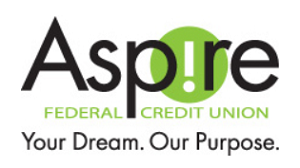 Aspire Federal Credit Union offers the “Fresh Start Checking” for members who face challenges with getting approved for checking accounts at banks and “other” financial institutions. Build a positive financial record with Aspire. How to Join: Donate to one of 15 participating organizations, such as a $5 gift to the Land Trust of North Alabama. Some research may be required if these options don’t work for you. You can start looking for bad credit bank accounts and second chance banking right in your local community bank or credit union. You want a financial institution that puts emphasis on helping customers and forming a personal banking relationship. Just like creditors report inaccurate information to credit bureaus, banks and credit unions make mistakes too. Challenge errors and inaccurate information reported to ChexSystems and EWS if you think you should have a clean record. Order your ChexSystems and EWS report for free, once every 12 months. If you’ve been denied a bank account within the last 60-days you are entitled to a free report. Otherwise there will be a fee. Avoid overdrafts with your new account by keeping track of your money. Most bank accounts, if not all, allow online access and apps that offer up-to-date account information and alerts. Bank accounts for bad credit and second chance banking accounts are typically not free, as you can tell from the above-listed options. But, most banks and credit unions will give you an opportunity to upgrade to a free account or at the very least an account that offers more benefits after a 12-month proof of good account management. Your new account is more than likely being monitored by the bank. If you’re prone to overdrafts, you need to be conscious of your balance at all times and open a bank account that offers overdraft protection or an overdraft line of credit.